Pets cannot get head lice. 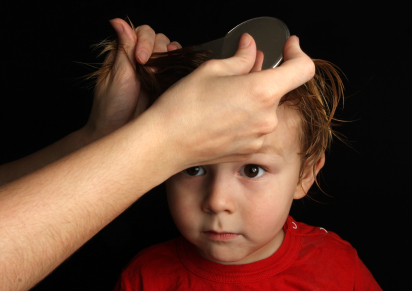 Lice can survive off the human head for 2 to 3 days. The superbug has become resistant to over the counter treatments. 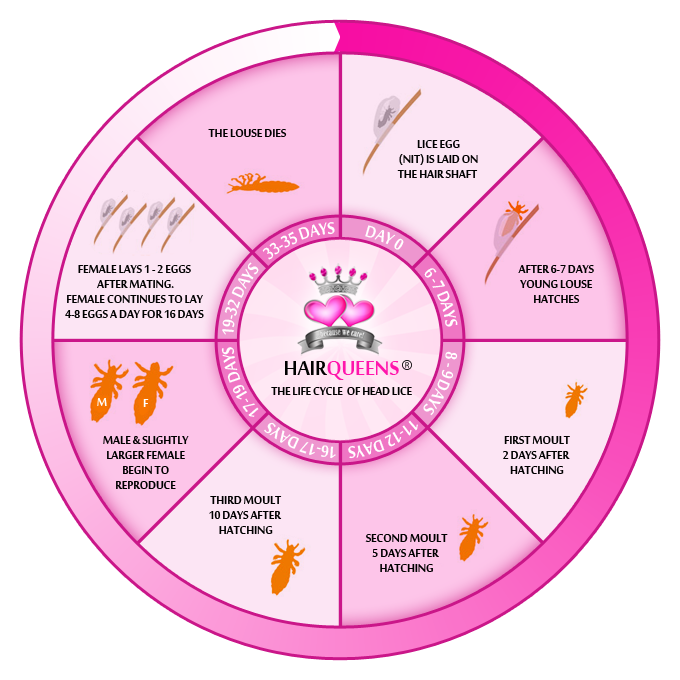 The most common ways of contracting head lice are from sleepovers, movie theaters and head to head contact. If you find an egg or nit, you have head lice. Honesty is the best approach to eliminating the problem amongst the community. Head lice are found worldwide and is one of the most common children's diseases, second only to a common cold. Head lice do not have hind legs to hop or jump. They also do not have wings and cannot fly. 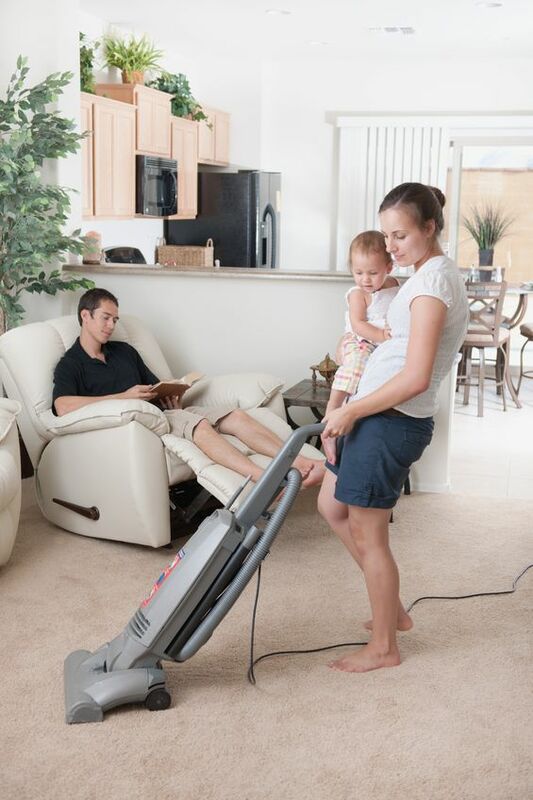 Vacuuming is the safest and best way to remove lice or fallen hairs with attached nits from upholstered furniture, rugs, stuffed animals or car seats – wherever someone with head lice may have rested their head. Not everyone has an allergic reaction to a lice bite and therefore not everyone will itch. Lice eggs are called Nits. The female louse will lay eggs on any fibrous material or hair. The eggs are oval shaped, yellowish white in color and attached with a cement type glue to the hair shaft and are often mistaken for dandruff. An egg is laid at the base of the hair. They are usually near the scalp, about ¼” to ½” away. Eggs take 6 to 7 days to hatch. Once the egg is hatched, the nymph which are clear in color start to feed on human blood almost immediately turning their color to a reddish brown. It takes 7 to 10 days for a nymph to develop into a full adult louse. Nymphs do not mate or lay eggs and are small in size. A louse is an adult that can live up to 30 days on a human head and lay over 100 eggs in her lifetime, approximately up to 10 eggs per day. A full grown louse is about the size of a sesame seed. They are usually grayish brown in color. Avoid hair-to-hair contact when taking 'selfies' with your friends. Keep hair up and coated with product. Studies have shown that herbs such as rosemary, mint and tea tree oil can repel lice. Educate children to NOT have head to head contact when hugging or playing. During sleepovers, alternate head to feet positions to avoid head contact. When in a movie theater, bring something to drape over the chair to eliminate hair contact with fibrous material. All bed linens & clothing worn in the last 24-36 hours by those who are infected. Place in the dryer daily on high heat for a minimum of 20 minutes until your home is lice-free. Items which cannot be washed can be placed in a bag and isolated for a few days, or until your home is lice-free. This means the items that you use on a regular basis - not every stuffed animal or all of your clothing. It is not necessary to bag everything in your home for two weeks! You can vacuum surfaces that cannot be wiped down or washed. This includes rugs, upholstered furniture and car interior. After vacuuming your couch, place a sheet over it. Now you can place the sheet in the dryer for a minimum of 20 minutes on high heat until you are lice free. Brushes and combs may be boiled (which will likely destroy them), or placed in a ziplock bag, in the freezer for 24 hours. They do not need to be thrown away! Every family member should have their own hairbrush; it is important not to share brushes.